My wife and I were married in 1983. Our first date was February 17, 1979, which we still celebrate as our “real” anniversary. She often accuses me of “bait and switch” because I cooked a full spaghetti dinner on our first date and I haven’t cooked anything more complicated than scrambled eggs since. We have two kids. Our son, Sam, works in L.A. pursuing his passion for sound recording, sound effects and sound design for movies and TV. Our daughter, Katie, has her Master’s degree in Speech and Language Pathology. She spends days doing speech pathology with toddlers, and evenings doing improv and standup in Los Angeles. They are both smarter, better looking, and way cooler than their parents. In 1979, two years out of law school, I handled a pro bono women’s rights case from start to successful conclusion at the Arizona Supreme Court, establishing the right of married women to keep their last name if they wished to. My father was a career Air Force officer, who became a meteorologist after spending 18 months in a German POW camp. He flew as a navigator in the Hurricane Hunters, and I grew up on Air Force bases around the US, in Bermuda and in Germany. When I graduated from high school our Congressman appointed me to the Air Force Academy, but I failed the medical exam because I am a little color blind. The color vision also kept me out of the US Marines when I tried to enlist in 1975. Susan and I are both active in the Unitarian Universalist Congregation of Phoenix. I have sung in the choir since 2002, am a frequent Master of Ceremonies at congregational fundraising events, have served on the Committee on Ministry, Foundation (endowment fund) Board, Capital Committee, and Board of Trustees. I love being part of a religious community whose only creed is to be kind and try to make the world a better place. 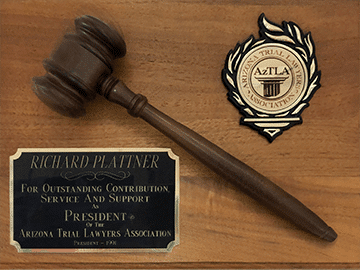 I have been active in leadership in the Arizona Association for Justice (lawyers who represent injured folks, and formerly known as the Arizona Trial Lawyers Association) since 1985. I served as President in 1991. I was an active participant in battles to protect the Arizona Constitution from the insurance industry and big business interests in 1986, 1990 and 1994. I have been called upon multiple times over the years to testify at the Arizona Legislature regarding bills affecting consumer rights, product liability, medical malpractice and insurance law. I have argued multiple appellate cases and have appeared before the Ninth Circuit Court of Appeals, Arizona Supreme Court and Arizona Court of Appeals. I served on the Maricopa County Sheriff’s Posse from 1982 until 2014, although I stopped actively participating when Joe Arpaio became Sheriff. For many years, I was involved with “combat” shooting sports and have certifications in pistol, assault rifle, assault shotgun and submachine gun, and studied martial arts and edged weapons. This experience has been extraordinarily helpful in cases involving defective firearms and police misconduct. I love golf, although it doesn’t always love me back. But I’m always sure my next game will be my best game! I used to do a fair amount of whitewater paddling and high performance driving, having attended classes at the Bob Bondurant School of High Performance Driving in 1984, 1988 and 1990. Nowadays, my energies are mostly devoted to my clients, the UU congregation, guitar, or golf. I love the fact that my work focuses on righting wrongs, mostly for catastrophically injured clients. Jami Goldman, author of “Up And Running,” says some very nice things about me in her book about her case, if you’d like an outside opinion. I also love not having to take cases I don’t believe are righteous, and the freedom to practice according to my highest ideals of fairness and honesty. A great combination for a good life, and a remarkably effective way to practice law (which surprises some people). Psychology of persuasion and negotiation; Computerized Case Organization & Demonstrative Evidence; Evolving Legal Ethics. 1977: Arizona Supreme Court; Federal District Court, District of Arizona. 1987: United States Court of Appeals, Ninth Circuit Court of Appeals. 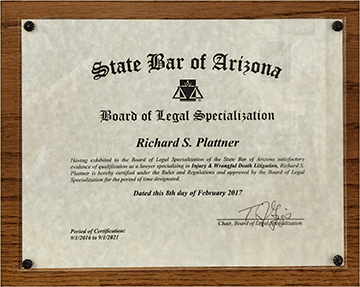 1991 to present: Certified Specialist in Injury and Wrongful Death Litigation by the State Bar of Arizona Board of Legal Specialization. 1994-present: Arizona Supreme Court Commission on Legal Ethics Reform. 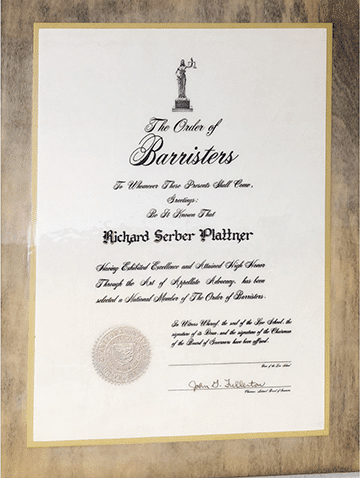 1987-1999: Arizona State Bar Association, Civil Practice and Procedure Committee. 1991-1992: Arizona State Bar Association, Committee on Recommended Arizona Jury Instructions. 1986-1988: Arizona State Bar Association, Judicial Evaluation Committee. 1986-1987: Arizona State Bar Association, Alternate Dispute Resolution Committee. 1987, 1988: Faculty, Trial Practice College, National Institute of Trial Advocacy. 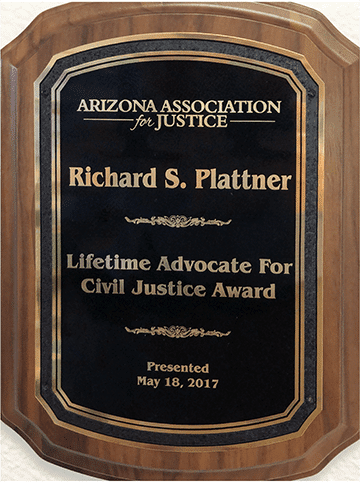 Arizona Association for Justice, Life Member since 12/2004. President, 1991. Sustaining Member, 1983-present. Board of Directors, 1986-present. Various committees. 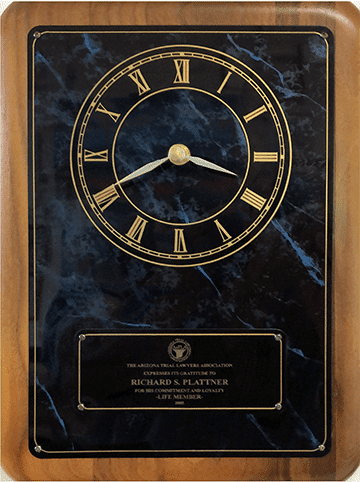 Phoenix Trial Lawyers Association, President, 1986-1987. Board of Directors, 1983-present. American Association for Justice, Sustaining Member, 1986-present; Leaders’ Forum, 2001-present. Arizona State Bar Association (see above). Maricopa County Bar Association, Various Committees. Author, Appellate Highlights, monthly article in the AzTLA Advocate, 1985-present. Principal Editor, Maricopa County Superior Court Judges, published by AzTLA, 1985. Author: “Evaluation & Settlement of Personal Injury Cases in Arizona: Plaintiffs’ Perspective,” PESI, 1990. Author: “Lawyering: Beyond the Adversary System,” Arizona Attorney, 1994. Author: “Locking the Courthouse Door,” Trial Practice, 1995. Author: “The Discovery Czar Approach to Limiting Litigation Abuse,” Unpublished article for the Maricopa County Superior Court Civil Study Committee, August, 1997. Author: “Discovery Disputes: How to Run the Railroad Without Railroading Anybody,” Maricopa Lawyer, November, 1997. Author: “What Lawyers Want,” Arizona Attorney, February, 2005. Discussed: Up And Running: The Jami Goldman Story, by Goldman & Cagan, Pocket Books (Simon & Schuster, Inc.), 2001. 1997: Member American Board of Trial Advocates. 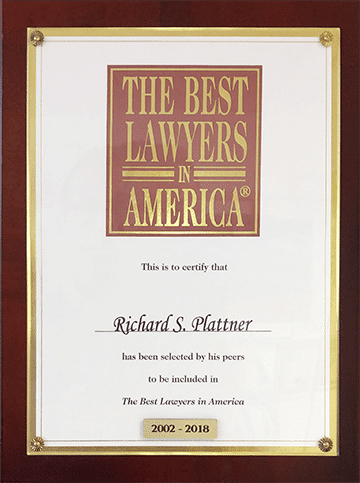 1991: Board Certified Specialist in Injury & Wrongful Death Litigation by State Bar of Arizona (renewed 1996, 2001). 1983: National Institute for Trial Advocacy. Trial College. 1977: Arizona State University College of Law, Tempe, Arizona. Degree: Juris Doctor. 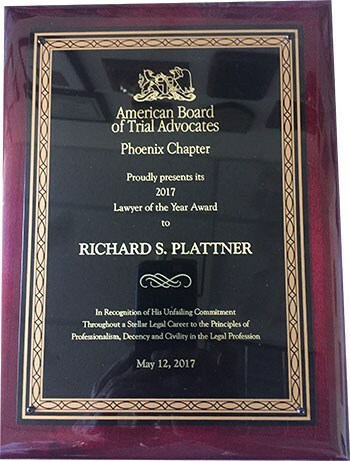 Dozens of invited presentations over the years to the Arizona Association for Justice (formerly known as the Arizona Trial Lawyers Association), including an annual presentation on Appellate Highlights. Frequent invited presentations for the State Bar of Arizona. Occasional invited presentations for the American Association for Justice, other state trial lawyer associations (Maryland, Washington and Colorado), the Arizona Judicial Conference, judges’ meetings in Maricopa County, the American Society of Trial Consultants, etc. Malone v. Sullivan, 124 Ariz. 469, 605 P.2d 447, Ariz., January 15, 1980. A woman is not required by common law, statute or rule to assume name of her husband upon marriage. St. Paul Property and Liability Ins. Co. v. Eymann, 166 Ariz. 344, 802 P.2d 1043, Ariz.App. Div. 1, August 23, 1990. (Judge pro tem.) Diminished capacity and the intentional acts exclusion in homeowners’ insurance coverage. Plattner v. State Farm Mut. Auto. Ins. Co., 168 Ariz. 311, 812 P.2d 1129, Ariz.App. Div. 1, May 28, 1991. An insurance company which uses deception to require an attorney to withdraw from representing a client on contingent fee can be sued for intentional interference with contract. Pruett v. Farmers Ins. Co. of Arizona, 175 Ariz. 447, 857 P.2d 1301, Ariz.App. Div. 1, February 11, 1993. The “family member” exclusion in an automobile insurance policy is invalid if it violates the reasonable expectations of the insured. Montgomery Ward & Co., Inc. v. Superior Court In and For County of Maricopa, 176 Ariz. 619, 863 P.2d 911, Ariz.App. Div. 1, November 23, 1993. 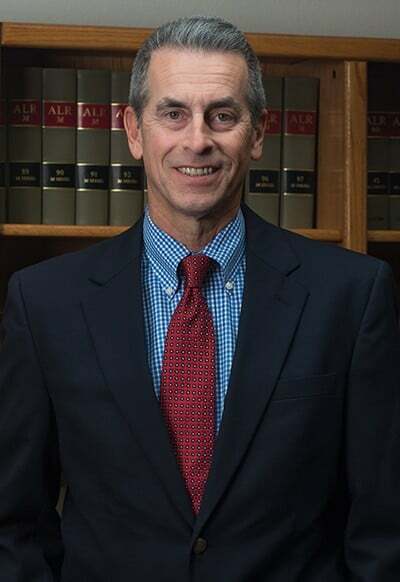 When a defendant engages in discovery abuse by hiding damaging evidence, the court must hold a hearing to determine if the fault was with the party or the attorney before throwing out the liability defenses as a sanction. Matter of Conservatorship of Fallers, 181 Ariz. 227, 889 P.2d 20, Ariz.App. Div. 1, May 31, 1994. A lawyer who handles an injury case for a minor child is entitled to a reasonable contingent fee. The function of the probate court is to ensure that the fee is reasonable, not to provide the minor with a discounted fee. Cunningham v. Goettl Air Conditioning, Inc., 194 Ariz. 236, 980 P.2d 489, 295 Ariz. Adv. Rep. 7, Ariz., May 19, 1999. (Amicus curie.) Construction site injury and settlement; issues of indemnity and assignment of rights. Walk v. Ring, 202 Ariz. 310, 44 P.3d 990, 378 Ariz. Adv. Rep. 61, Ariz., April 24, 2002. The “discovery rule” regarding statutes of limitation applies in medical/dental malpractice cases — where a physician has concealed the cause of the patient’s problems, time does not begin to run until the patient discovers or reasonably should have discovered that the cause was the physician’s fault. Safeway Ins. Co., Inc. v. Guerrero, 210 Ariz. 5, 106 P.3d 1020, 446 Ariz. Adv. Rep. 51, Ariz., February 24, 2005. Attorneys acted properly in negotiating a settlement agreement for their clients, and thus could not be sued for interfering in the contract relationship between the defendant insured and his insurance carrier. Assyia v. State Farm Mut. Auto. Ins. Co., 229 Ariz. 216, 273 P.3d 668 (Ct. App. 2012), review denied (Sept. 25, 2012). Insured filed breach of contract action against automobile insurer based on insurer’s failure to pay the policy limits of insured’s uninsured motorist (UM) coverage in connection with accident. Insurer, which had earlier paid $2,000 on insured’s claim, tendered the balance, and parties submitted to superior court the question of insured’s entitlement to attorney fees and costs. The Superior Court, Maricopa County, Cause No. CV 2009–003002, J. Richard Gama, J., awarded fees and costs to insured. Insurer appealed. Award affirmed.